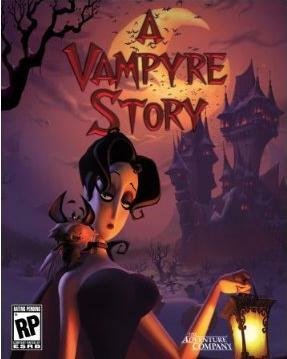 For those of you who are not aware yet A Vampyre Story is a new adventure game developed by Autumn Moon Entertainment, which was created by Bill Tiller. Who is Bill Tiller you ask? why he’s only one of the geniuses behind classics such Monkey Island and the best point and click ever made i.e. The Dig. From everything we’ve seen so far on the game it looks to be a pure throwback to the Golden Days of LucasArts so if you like point ‘n’ clicks and/or vampires be sure to get the demo. You can download it on Worth Playing.